12 anti-Assad rebel groups in south Syria reportedly received money and weapons from Israel to combat ISIS, Iran-linked forces. Israel has been secretly backing 12 different rebel groups fighting the Assad regime in southern Syria, Foreign Policy magazine claimed in an exclusive report Thursday, providing both weapons and money in an effort to combat both the ISIS terror group and Iranian-backed forces in the area. According to the Foreign Policy report Thursday which cited anti-regime groups in Syria, Israel furnished arms and equipment for 12 different rebel groups in southern Syria, including transfers of machine guns and assault rifles, mortar launchers, and transport vehicles. The most recent transfer, the report claimed, took place in late July. Israeli security forces made the transfers via three gates along the Israeli-Syrian frontier on the Golan Heights. In addition, the Israeli government also funded rebel groups, helping to cover fighters’ salaries to the tune of $75 a month per soldier. Additional funds were provided to help rebel groups purchase weapons and ammunition. The Israeli embassy refused to comment on the claims by Foreign Policy. Israel hoped the rebel forces would be able to prevent either the ISIS terror group or Iranian forces stationed in Syria from gaining a foothold in southern Syria, in particular in the Syrian-held portion of the Golan Heights near the Israeli border. 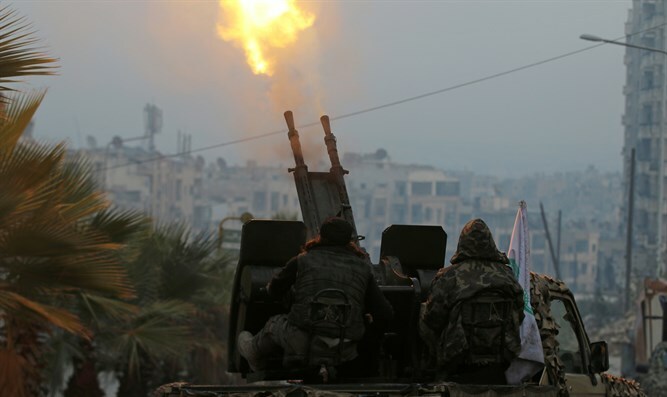 But some of the rebels say they believed the aid signaled Israel’s commitment to intervene on their behalf in the event of a full-scale offensive in southern Syria by Assad regime forces. Backed by the Russian air force, Syrian government forces undertook a massive operation in southern Syria this summer, prompting a massive exodus of refugees. Israel did not intervene, leading some rebels to criticize the Jewish state. “This is a lesson we will not forget about Israel. It does not care about … the people. It does not care about humanity. All it cares about it its own interests,” Y., a Forsan al-Jolan fighter is quoted as saying.